Drone flying over the coast line towards Colombo, Sri Lanka. Aerial top view of ocean waves, street and city buildings. 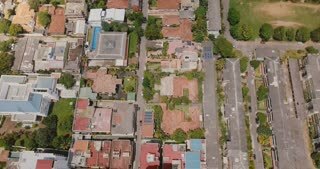 Drone zooming out above Colombo, Sri Lanka panorama. 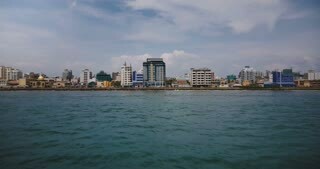 Aerial view of Asian resort town, modern buildings and ocean waves. 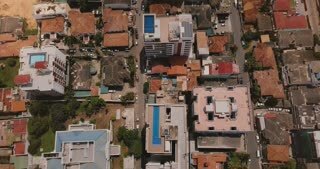 Drone flying over buildings of Colombo, Sri Lanka towards seashore. Aerial top view of Asian resort town and ocean. 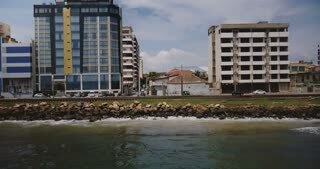 Drone flying left along ocean shore street in Colombo, Sri Lanka. 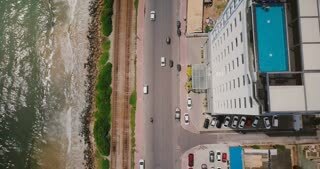 Aerial tracking shot of Asian resort town sea coast. 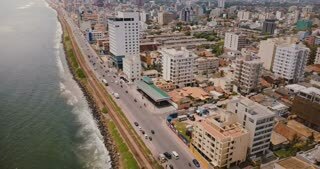 Drone flying above the coast line of Colombo, Sri Lanka. Aerial view of ocean, railroad, street traffic and buildings. 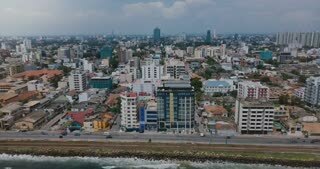 Drone flying above Colombo coast, Sri Lanka. Amazing aerial view of city street traffic, modern buildings and ocean. 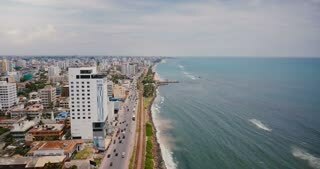 Drone flying over beautiful coastline of Colombo, Sri Lanka. 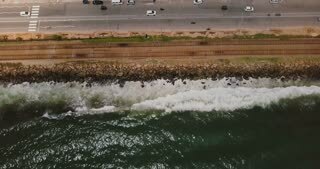 Amazing aerial view of busy city street and ocean waves. 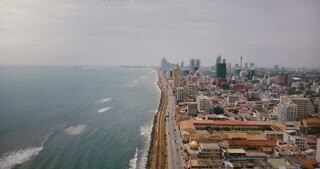 Drone flying along ocean shore street, opening up to amazing cityscape and seaside panorama of Colombo, Sri Lanka. 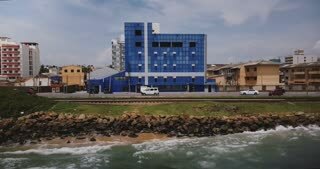 Drone flying along coast line street in Colombo, Sri Lanka. 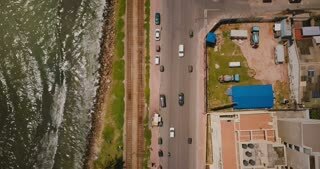 Aerial shot of cars, buildings, ocean waves and railroad.